A study, published by the Head of Pharmacology, at UNSW published in the journal of Food Research has examined the impact of junk food on gut microbiota. The study was the first to compare how continuous or intermittent exposure to an unhealthy diet can impact the composition of the gut microbiota. Previous studies have linked chronic health conditions such as diabetes, inflammatory bowel disease and obesity to the disruption of gut bacteria as the human gut contains up to 100 trillion microbial cells that influence metabolism, nutrition and immune function. The research team compared the different levels of gut bacteria in rats given continuous access to either a healthy diet or junk food with a group cycled between the two diets, healthy for four days and junk for three, over 16 weeks. The researchers analyzed corresponding metabolic markers including body weight, fat mass, insulin and leptin. At the end of the 16 weeks, rats on the cycled diet were 18% heavier than those on the healthy diet, while leptin and insulin levels in cycled rats were in between rats fed junk or healthy food. 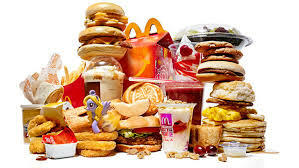 “The findings indicate that intermittent exposure to junk food three days a week is sufficient to extensively shift the gut microbiota towards the pattern seen in obese rats consuming the diet continuously,” said Professor Morris. The research findings revealed that the gut bacteria of rats exposed to a cycle of junk food diet was almost indistinguishable from rats fed a constant diet of junk. Both group of rats had gut bacteria significantly different from those in the rats fed a healthy diet. The junk food diet impacted on the ability to metabolize flavonoids by reducing the abundance of microbial species capable of metabolising flavonoids. Cycled rats revealed large differences in food intake, consuming 30% more energy than those maintained on the healthy diet only. When these rats were switched back to a healthy diet, they consumed half as much food as those maintained on a healthy diet only.